Hammer Head comes from what is now known as the Czech Republic, however when it was made well over two decades ago the region was known as Czechoslovakia and was the heart of the soviet pot stilled spirits region. 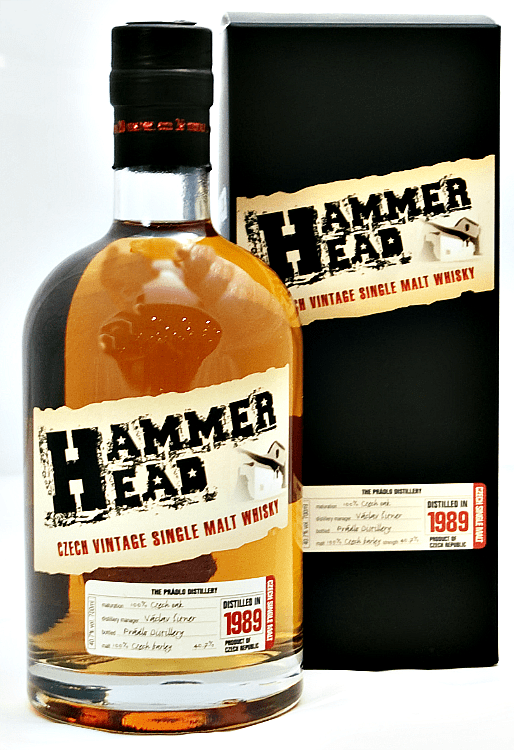 It is said that Hammer Head was created by Stalin and other wealthy and influential members of the soviet elite to rival the world famous Scotch whiskey. A cast iron scotch whiskey mill from 1928 was smuggled into Czechoslovakia from the west and the production began. It is believed that the whisky was not only created for the soviet elite but was also meant to beat Scotch whiskey in taste. Some say that Joseph Stalin sent a bottle to Winston Churchill to show him how much better soviet whiskey is to the capitalist scotch whiskey. This has never been confirmed and some say that Churchill simply ignored the bottle. After the death of Stalin and the fall of the Berlin wall the distillery was closed and went into ownership of the new Czech government. Till 2001 the distillery remained closed almost falling into ruin until a small private equity firm bought the distillery and made plans to re open it. While they were excavating the distillery a secret seller was uncovered with thousands of litres of whiskey. The company decided upon hearing the stories that they would not reopen the distillery but turn it into a museum and started bottling and selling this wonderful whiskey for everyone. They named the whiskey Hammer Head after the noise made by the Victorian Scotch mill that helped make it. Now my favorite part. I started my tasting by just adding a little water with a shot of Hammer Head and then after the tasting added ice as it was very hot and I felt like having something a bit cooling. 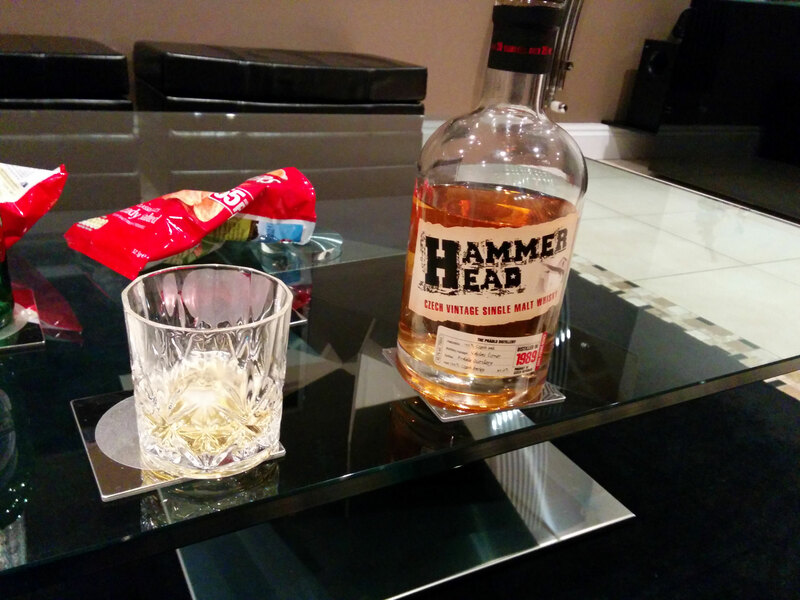 Hammer head is an incredibly smooth whiskey. It has a strong vanilla and floral fragrance with a slight fruitiness. On the pallet the citrus and vanilla continue but the sweetness in the fragrance transpires as almost caramelised. On the finish you get a wonderful lingering vanilla sweetness along with a hint of citrus that leaves you satisfied and refreshed at the same time. This is a fantastic whiskey and I would not only recommend it but have actively promoted it because of how much I enjoy this whiskey. Definitely one to add to any whiskey collection. Hammer Head retails at around £40 to £50 however I predict that as the whiskey runs out the price will go up so if you like the sound of it don’t wait too long. Posted: 02/04/2014 04/04/2014 . Tagged: Churchill, Czech Republic, Czechoslovakia, Hammer Head, hammerhead, hidden, Joseph, malt, notes, rare, review, Stalin, tasting, whiskey, Winston. Bookmark the permalink.